We know BMW stands for sheer driving pleasure something that everyone enjoy in their own individual way. It’s rare to encounter a vehicle that doesn’t just meet one’s expectations, it also goes far beyond them. 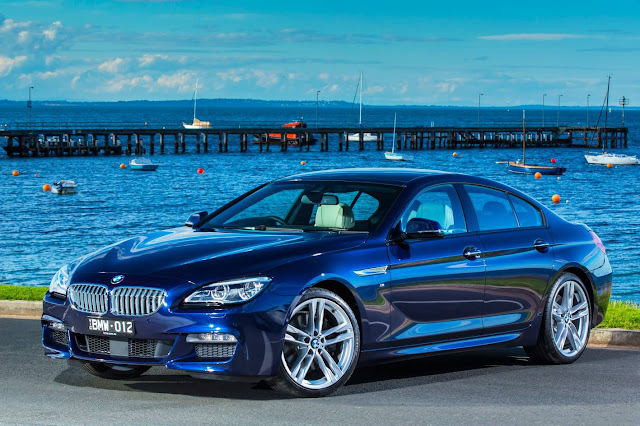 What’s more with the new BMW 6 series, the experience is three fold: with the Gran Coupe, Copue and Convertible, each sitting the standards when it comes to luxary, sportiness and elegance in their on special way. One thing is sure , it’s appearance captures the attention. 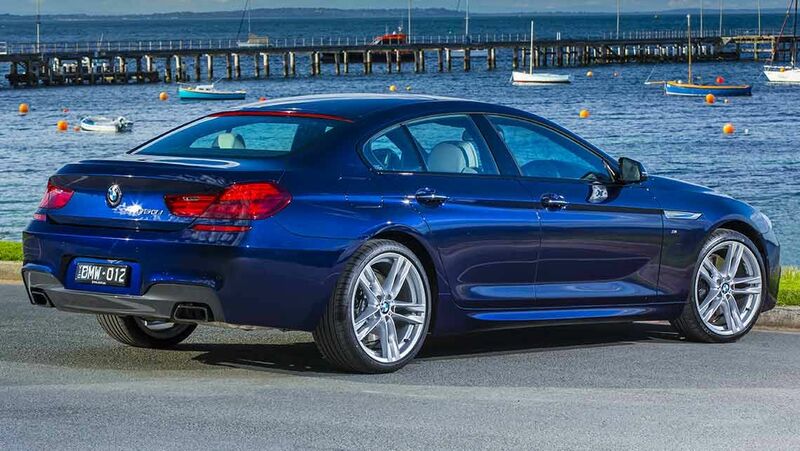 The elegantly modeled rear profile of new BMW6 series Gran coupe and the sleek lines of its flanks make it totally clear- luxurious design and leading edge performance make it an outstanding style. You really do have to take a look under the bonnet , it comes with 2,979 cc with 6/4 cylinders/ valves engine which produces 320 hp at 5800-6000 in 1 min furthermore about torque it produces 450 Nm at 1300-4500 rpm. Beemer touches the 250 Km/h and cover the 0-100 Km/h in 5.3 sec, it is an incredible acceleration. 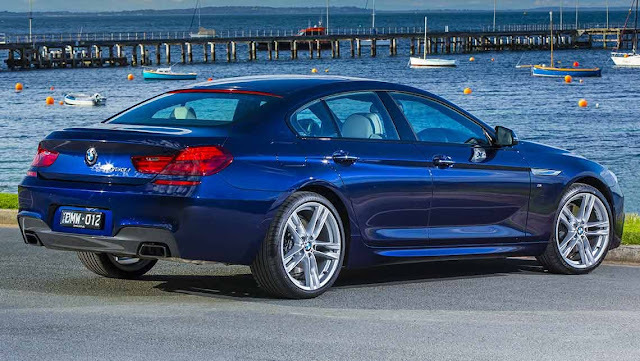 There are three BMW EfficientDynamics engines to choose from. In addition, the combination of two turbochargers, Valvetronic, Double-VANOS and High-Precision Injection ensures excellent performance and efficiency. Whether the goal is maximum performance or minimum fuel consumption – for BMW, the focus is always on delivering classic BMW driving pleasure. BMW EfficientDynamics is the strategy developed by BMW to minimize fuel consumption and emissions while simultaneously increasing dynamics and driving pleasure. It is a comprehensive technology package that includes the drive train, energy management and the BMW Efficient Lightweight vehicle concept – and is standard in every BMW. The BMW Twin Power Turbo engine range's new generation of petrol – as well as diesel – engines is responsible for the improved performance and lower fuel consumption in BMW vehicles. Optimised aerodynamics also contribute to the increased efficiency. It consumed 9-10 approx liter fuel in 100 km. Take your seat and look around. Experience for yourself how everything in this car is perfect. The BMW 6 Series Coupe demonstrates grace and power in equal measure. Clear contours and self-assured surfaces characterise the exterior. In combination with the M Sport package, voluminous air inlets and striking tailpipe finishers further emphasise the vehicle’s sportiness. With nine gleaming slats and flanked by LED headlights, it’s the kidney grille that dominates the front. Extensive wheel arches and inward-pointing lights create a deep-lying, muscular appearance at the rear. In total, all the above details underscore the first impression with a vengeance: This is an elegant coupé that is simply raring to go. Adaptive LED headlights with integrated low-beam and high-beam functions automatically adjust the light distribution to suit the driving speed, thereby dynamically illuminating the road ahead. In addition to indicators and daytime running lights, it includes the Adaptive headlight function with variable city and motorway light distribution, cornering lights, as well as BMW Selective Beam (anti-dazzle High-beam assistant), which automatically switches between the low and high-beam lights. That allows the system to offer optimal road illumination under all conditions. The most important instrument displays and switches are orientated towards the driver, guaranteeing the masterful control that is essential for a sports coupe. Generous surfaces and clearly contoured lines combine with highly detailed instruments and top-quality materials to create an exclusive impression that appeals to all the senses. The high-resolution, frameless Control Display with glass casing and galvanised surrounds is free-standing above the instrument panel and provides important information in brilliant quality, even in bright daylight. The Black Panel look of the centre console adds a premium finishing touch to the sophisticated interior. The gear selector and the iDrive Touch Controller both have ceramic embellishers. The interior of the BMW 6 Series Coupé has been designed to meet the highest demands in terms of sporty, luxurious style. The sports seats are made of high-quality leather and perfectly match the interior. The same applies to the centre armrest, with storage compartments providing sufficient space for items of all kinds. Meanwhile the 460-litre luggage compartment can accommodate bulky luggage such as sports or travel bags, and drinks holders are provided in the centre console. Thanks to its new Dirac Dimensions signal processing system, the Bang & Olufsen high-end surround sound system creates an open and lively atmosphere with exceptional acoustics. The incredible sound is created by 16 loudspeakers with a 1,200 W output, incl. a centre speaker that automatically extends from the dashboard. The centre speaker is a mid-range speaker and is equipped with Acoustic Lens Technology, which ensures consistent sound quality on all seats. The system offers the choice of two sound settings: "Studio" for flawless sound and "Expanded", which creates the impression of a larger acoustic space. The audiovisual experience is rounded off with the illumination of individual loudspeakers. If you like this article then please share your experience about “dwheelsblogspot.com” on facebook page and like it.